Faded Yellow Jeans by Pascucci. Get mellow in yellow in these faded yellow jeans. Featuring mustard yellow denim treated with a faded wash. Constructed with hidden button closure, front and rear pockets, and belt loops. Faded yellow jeans include subtle distressed details for a vintage jean design. 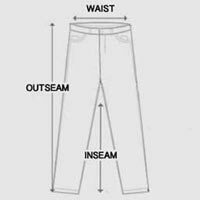 Slight stretch in fabric for a jean that comfortably conforms to your figure. Pair with neutral tops to really make yellow hue pop. Make a memorable entrance with faded yellow jeans.